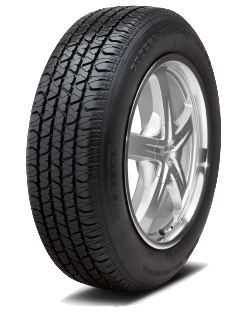 Constructed with a dual-compound tread, the Trendsetter SE works to promote enhanced durability and low rolling resistance. This tyre also features a block tread design which works to form an effective gripping edge resulting in high levels of traction. Furthermore, the Trendsetter SE features a computer-designed variable-pitched tread which reduces tyre noise for a more comfortable drive.